A4G - Affiliate CPA network reviews and details. Our system carries out an in-depth analysis of a large number of data with the hope of revealing and prioritizing the best performing ads on your websites to enhance your eCPM. integration We are accommodated with the leading Demand Side Platforms (DSP) to retain your higher CPMs. A4G uses Banners & Video Ads from Google to boost your advertising revenue. 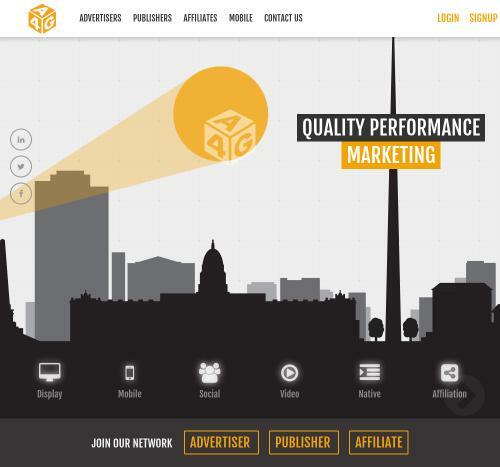 Yield considerable extra revenue by using our Footer Ad, Site Skins, Video Ads, Native Ads, Pop-Under and CPA Offers. You can check A4G reviews and Offers on Affbank and ask A4G Team any question by using the contacts above, especially about how to earn money!